Never miss a key insight or event with your user experience testing.Loop11 is a usability testing tool which allows designers, research and product manager to run user testing studies from within their browser on live websites and prototype designs.With the Loop11 app for Slack you can integrate your team's usability studies in two key ways. 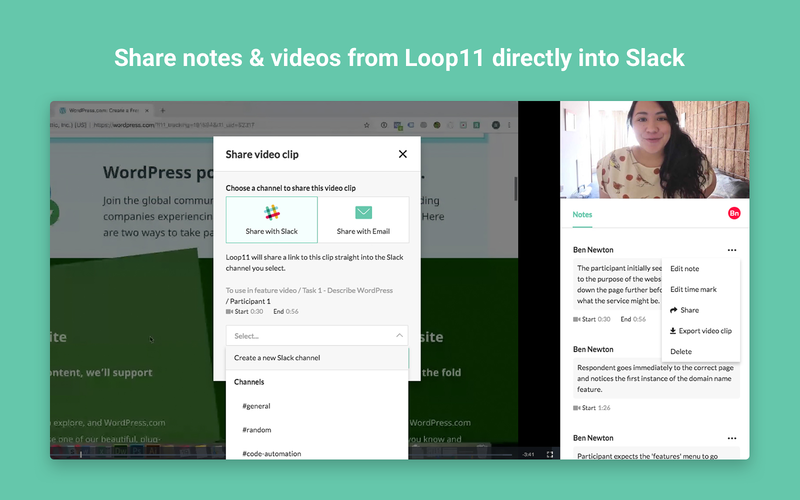 The first is to share notes and video clips from your tests directly into Slack channels so your team can better understand key insights.The second avenue the Loop11 app creates is to send live updates for your projects into your desired Slack channel. Notifications include when your first participant completes a test, when you reach the half way mark or when a project reaches completion.You need a free or paid Loop11 account in order to utilize this integration. Loop11 will be able to send messages to your workspace. Loop11 will be able to modify information about your public channels, including name and purpose, as well as archive and create new ones. 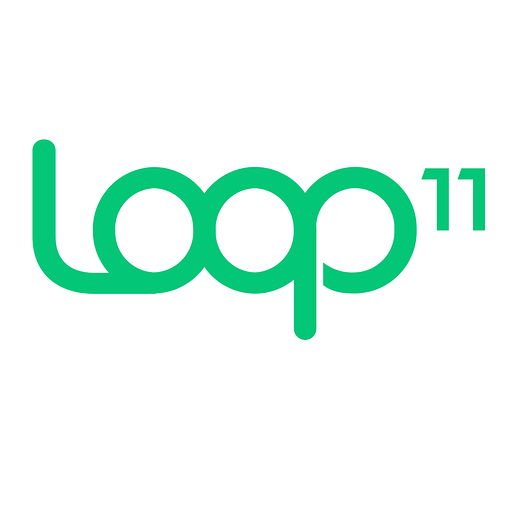 Loop11 will be able to access basic information about your public channels (including names, topics, purposes, creation date, and latest message).